SkeptEco: Trust our public scientists? 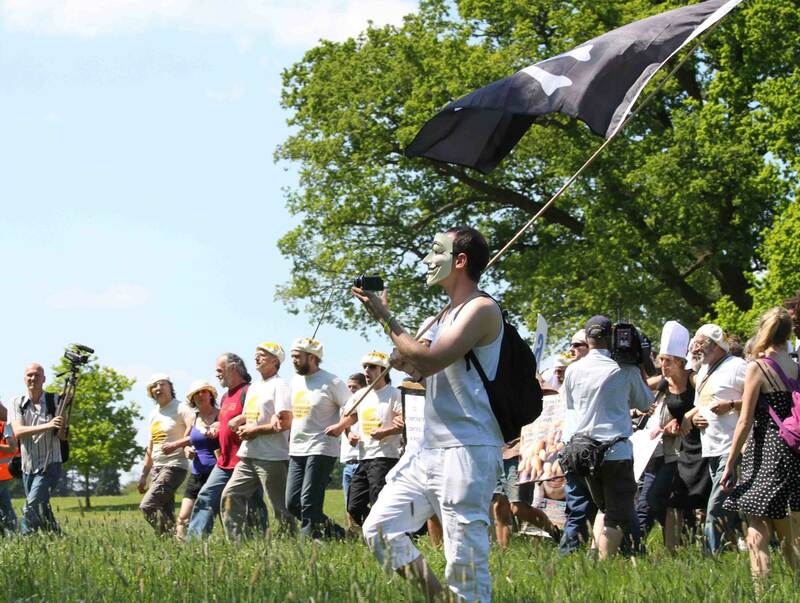 Earlier this year a group of protesters from the group “Take the Flour back” marched on Rothamsted Research Institute with the intent on destroying public science, in this case a field of genetically engineered wheat. In doing so, they were not only anti-science, but anti-democracy. Debates about controversial technology like Genetic engineering or nuclear power often come down to one simple question: who to trust? It is “normal” – for people who have not really thought about it- to be distrustful of science done or funded by or in anyway connected with Big Evil Faceless corporations, especially if they are Monsanto; and indeed it is of course standard procedure for science papers to declare any potential conflict of interest- if they do not do so, then there are double the reasons to be wary of their conclusions. However, just because a study is funded by a company with a profit motive does not mean that the science is wrong or bad; it could just as easily be good science. The idea that corporations, in league with public scientists, would happily risk serious public health outcomes for profit seems an almost pathological level of paranoia on a par with the worst of conspiracy theories. It would clearly not be in their interests: to date, no adverse health effects from GE crops have been found; if there ever was any, it would set back the GE cause by decades. To show bad science is being practiced, you would need to read the studies, scrutinize its methods and conclusions and challenge it on its own terms to refute it- in other words, you would need to engage with the normal workings of science yourself. This takes some study and work; much easier to just go to a dedicated anti-GE site and pull out some “report” or paper or anything really that tells us: GE is dangerous, the companies are trying to take over the world’s food supply and we should just not trust them. But why should we trust the activist sites? This is the question I would like to ask protesters, because in my frequent debates and conversations with them, they seem quite unaware that there maybe bias and vested interests on both sides of the issue. All too often it seems to come down to a conviction that Capitalism is Bad- and therefore Wrong-and anything that attacks Capitalism is Good- and therefore Right. Please continue reading We must trust our public scientists.